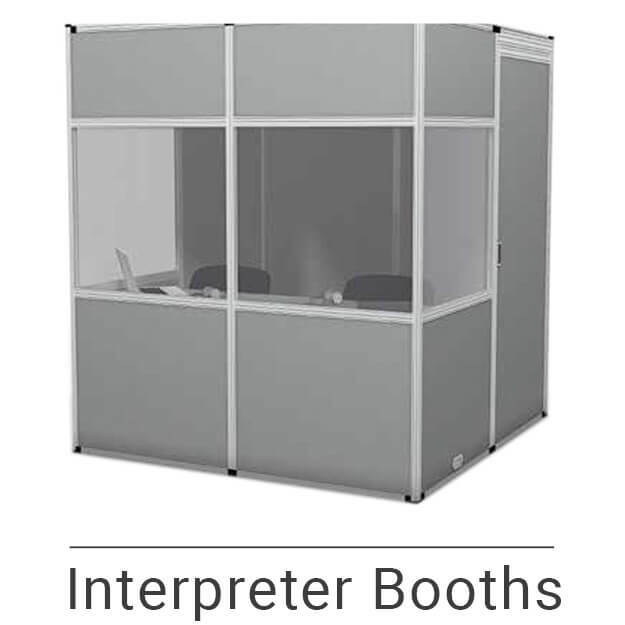 > Interpretation in 6 languages. 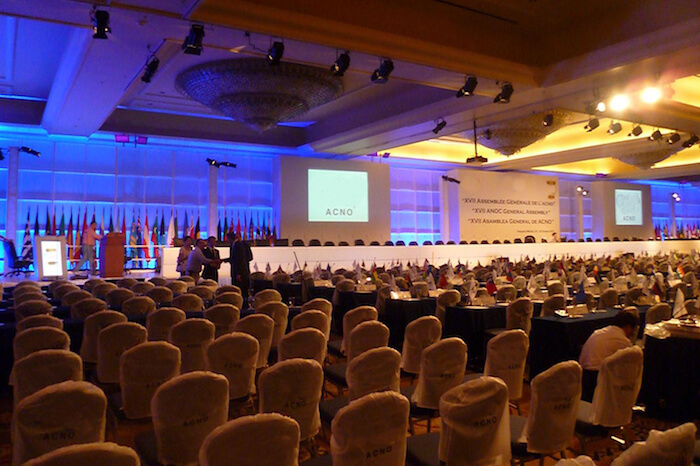 > Meetings in 11 rooms. 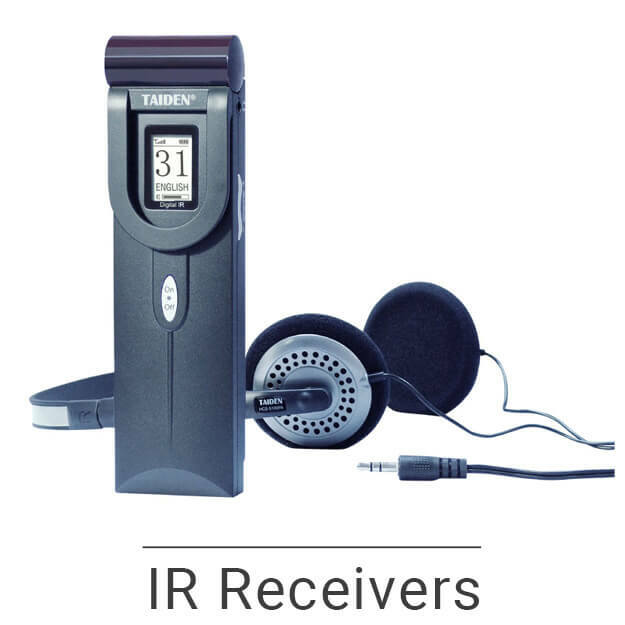 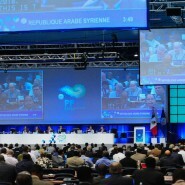 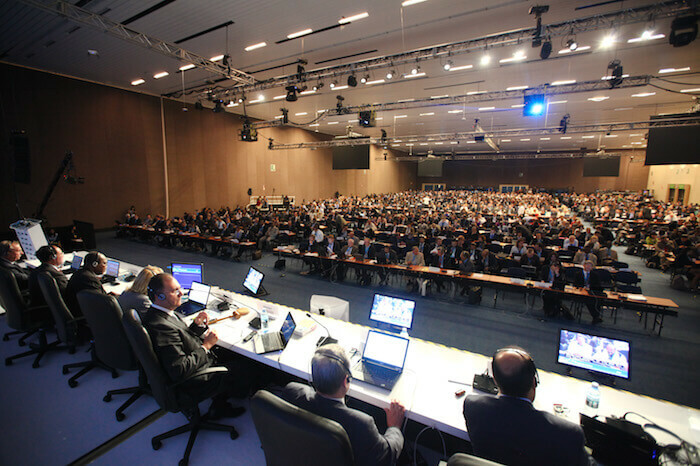 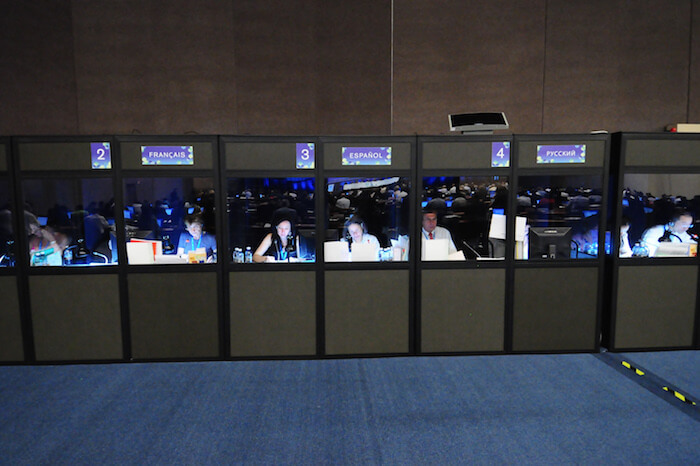 Conference Rental was the chosen provider for all conferencing and simultaneous interpretation technologies for this event, the biggest of its kind ever held in the city of Guadalajara. 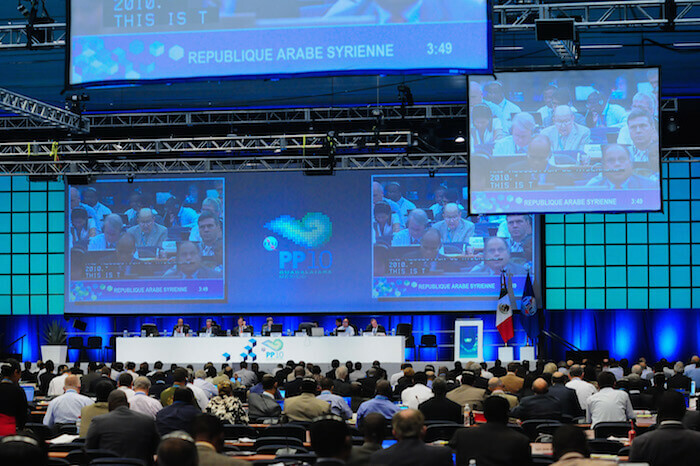 The Plenipotentiary Conference is the top policy making body of the International Telecommunication Union (ITU), the leading United Nations agency for information and communication technology issues. 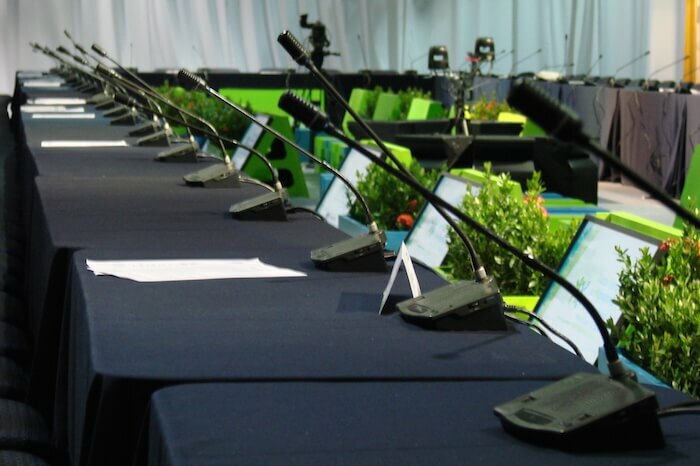 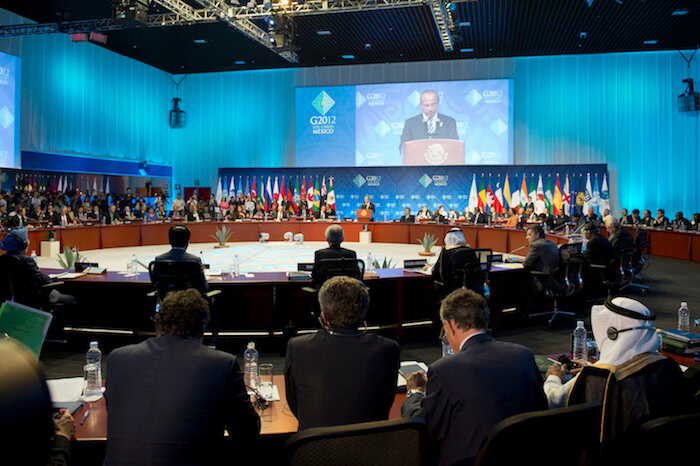 The conference system installed for this event of major importance ran very successfully during the entire three weeks of strategic discussions. 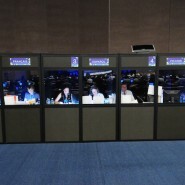 Conference Rental had 6 expert technicians onsite monitoring the operation of the systems in multiple rooms. 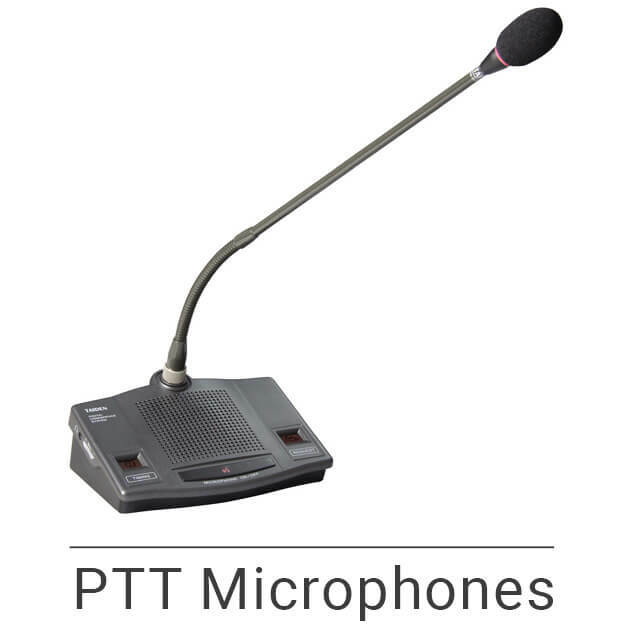 In the larger room, 400 fully digital push-to-talk microphones were installed, shared by 2000 delegates, and combined with an automatic video tracking system. 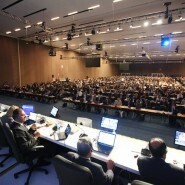 Then a microphone was activated, the camera automatically displayed the speaker on the large screens across the room.